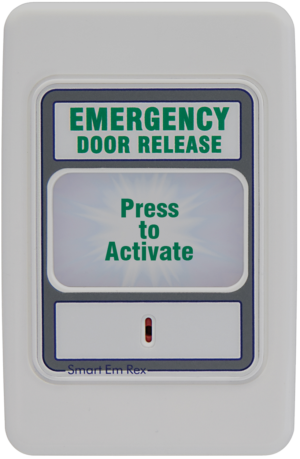 The Smart Em Rex® operates in the same way as the standard Em Rex® (Emergency Exit Device) but also includes LED Backlighting which allows both easy location and greater safety in emergencies involving areas of limited lighting. It also operates from 10 to 30Vdc. C-Tick Certified and complies with BS 5839 Pt. The standard for "Break-Glass Panels"
C-Tick Certified & complies with RoHS and BS 5839 Pt 2. The standard for "Break-Glass Panels"